Obagi skin care products contain prescription-strength formulations and are available only through physicians, medical spas, and skin care physicians. The only way to ensure your Obagi product is genuine is to purchase it through one of these authorized channels. 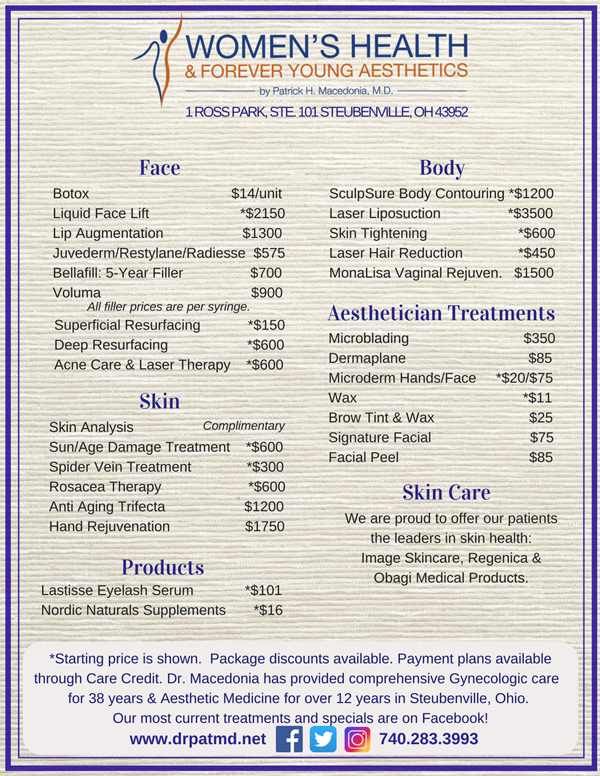 Dr. Macedonia has been an authorized skin care physician for over 10 years and offers free consultations to help you with your skin care needs. There's one simple reason why everyone falls in love with Obagi: It Works, Fast. Its wide variety of prescription-strength skin care products repair your skin at the cellular level, which means wrinkles, sagging skin, hyperpigmentation, and acne don't stand a chance. Transforming skin since 1988, Obagi Nu Derm was created by Dr. Zein E. Obagi and other leading skin care experts. It quickly became the favorite of dermatologists and their patients. Obagi products are known for harnessing the power of Hydroquinone, Vitamin C, and acne-fighting ingredients like Salicylic Acid and Benzoyl Peroxide. Each system of products is specifically designed to work together producing faster results. 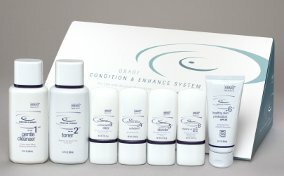 With four systems to choose from, Obagi ensures a solution for your skin. Obagi CLENZIderm clears blemishes, Obagi Nu-Derm eliminates age spots, Obagi-C Rx System repairs sun damage, and Obagi Professional-C Serums banish free radicals. 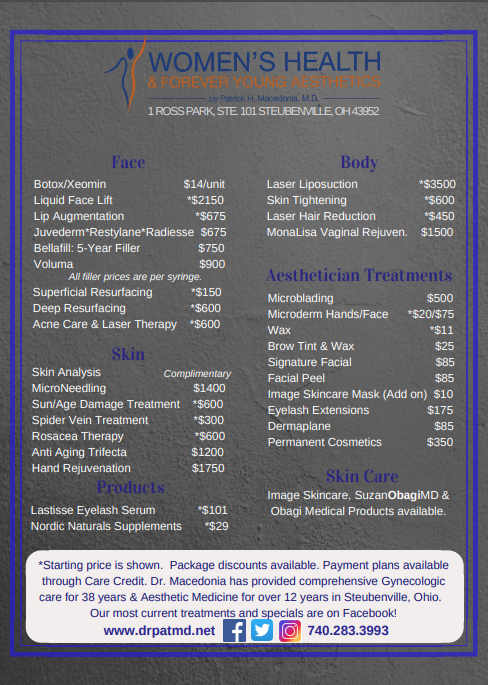 Obagi also offers specialized eye treatments. Proudly serving our city of Steubenville, Ohio as well as the surrounding areas of East Liverpool, Martins Ferry, Cadiz, Carrolton, St. Clairsville, Zanesville and all communities in Southeast Ohio, Weirton, Wheeling, Follansbee, Wellsburg and Chester in West Virginia, and Burgettstown, Imperial, Washington and Pittsburgh in Pennsylvania.